The cycloalkanes, comprising up to 45% of the hydrocarbon fraction, occur in crude oil or refined oil products (e.g., gasoline) mainly as alkylated cyclohexane derivatives and have been increasingly found in environmental samples of soil and water. Furthermore, short-chain alkylated cycloalkanes are components of the so-called volatile organic compounds (VOCs). 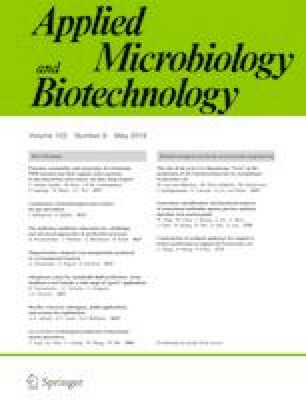 This study highlights the biotransformation of methyl- and ethylcyclohexane by the alkane-assimilating yeast Candida maltosa and the phenol- and benzoate-utilizing yeast Trichosporon mucoides under laboratory conditions. In the course of this biotransformation, we detected 25 different metabolites, which were analyzed by HPLC and GC-MS. The biotransformation process of methylcyclohexane in both yeasts involve (A) ring hydroxylation at different positions (C2, C3, and C4) and subsequent oxidation to ketones as well as (B) oxidation of the alkyl side chain to hydroxylated and acid products. The yeast T. mucoides additionally performs ring hydroxylation at the C1-position and (C) oxidative decarboxylation and (D) aromatization of cyclohexanecarboxylic acid. Both yeasts also oxidized the saturated ring system and the side chain of ethylcyclohexane. However, the cyclohexylacetic acid, which was formed, seemed not to be substrate for aromatization. This is the first report of several new transformation reactions of alkylated cycloalkanes for eukaryotic microorganisms. The online version of this article ( https://doi.org/10.1007/s00253-019-09749-4) contains supplementary material, which is available to authorized users. The authors thank Robert Jack for reviewing the manuscript and Anne Reinhard for excellent technical assistance.